The single biggest issue with water in Sub-Saharan Africa in the lack of maintenance, where pumps are installed and no one returns to see if its still functioning all day everyday. 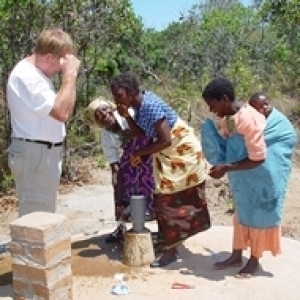 For some months now we have initiated a programme of phoning and by many and varied means, locating communities where we have installed wells over the past 12 years. People should be ringing us, but because there is no history of culture of pump installers returning, I fear the some communities have lumped us in with all the rest. We are now on it and actually have made a few small modifications that will eliminate many of the issues we have found. Of course we all know that even your Mercedes or BMW won't go on, without servicing, for 12 years, so we have a team on it, but we have added our Preschool and Forestry team to the same project as well, which makes the project very cost efficient. This well had dried up so they deepened the well and we extended both pump pipes, simple task and happy days. 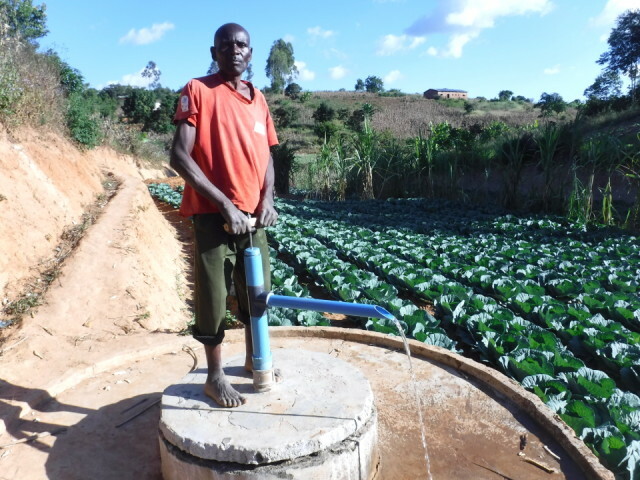 I just notice another value of water for watering the cabbage which look very healthy, as does the Chief.